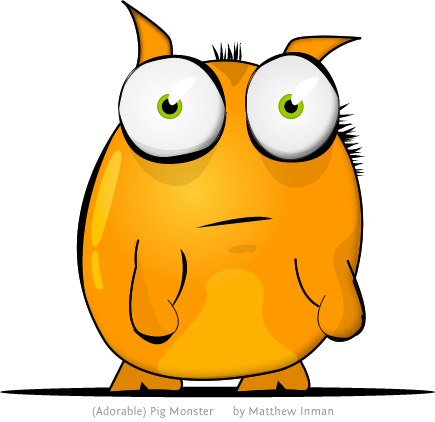 Last night I was trying to draw a pig, but I ended up creating an adorable little monster thing with pig-like features. iPhone users: I created a 320x480 version of this for use as an iPhone wallpaper (click to download). I created a few versions of this guy from multiple angles doing different things. I created one of him standing, walking, and running. I drew three versions because I wanted to get more practice with proportion by trying to keep his features consistent even though his body is angled in different ways. A lot of the comic-cartoonish stuff I draw tends to always be from the same angle (usually straight-on). So what do I intend to do with this little guy? I'm not sure yet. 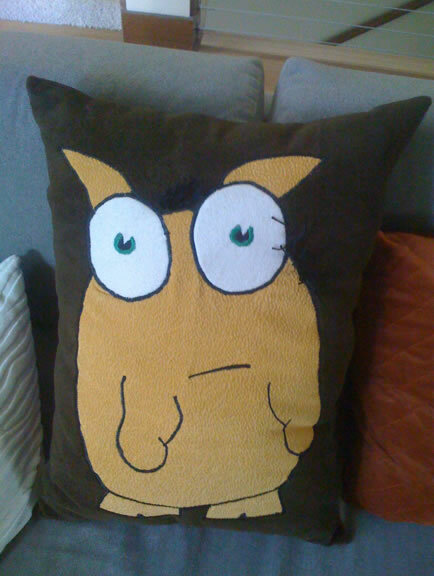 I'm considering starting a webcomic and incorporating him into it. My myspace comic was very successful and received thousands of visitors in the first few days it was up. A webcomic would be perfect for improving my Illustrator skills, too, because there's no deadline so I wouldn't be pressured to pump out designs quickly. Another crazy idea I've been toying around with is to create a giant mural of various characters and other creations - perhaps 6 feet tall by 4 feet wide, and have it printed out and mounted on the wall of my home. Ideally I'd draw somewhere between 50-100 various creatures, items, and miniature landscapes and create a giant vector-collage. It'd be pretty time consuming though, so I'll have to think about it. Any thoughts or ideas are always appreciated. Nicely Done I like it/him/her/it!!! Thanks Brad, I think he would have made an awesome valentines day card. Perhaps next year. HAHAHA!!! Nice. Ya I like the pink one too. I think it looks more alien in this fluorescent pink suit. He's sad because he's hairy. Hey Matthew, love your work. What program did you use to make this? 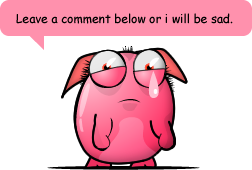 I felt I had to leave a comment because the Pig Monster made me feel bad. Err ... Nice website. 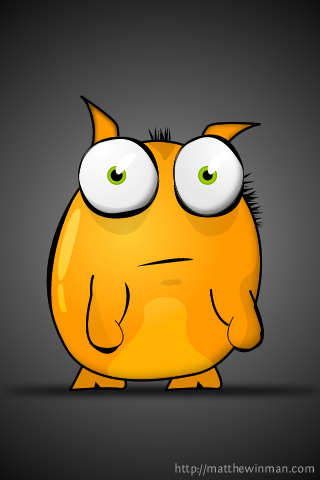 Cute Monster, I love it. Hey! I found the pig monster on google images, printed some out, and pasted it all over! it's so cute! Cool dud that is like totally smack Awesome. Great work, Matt. You probably get asked a lot but what program do you use for your vector work? Please stop crying! I love you! Sin duda, lo llevo en mi iphone!!! He looks like he is worried. And That Would Sell Well Good ! I So Would Buy That ! I love him. Could I use his image on a worksheet I am making for my students? Its adorable. I found it when I was googling images. WOuld you do an image for me? Do you work on freelance basis? Mail me if possible. 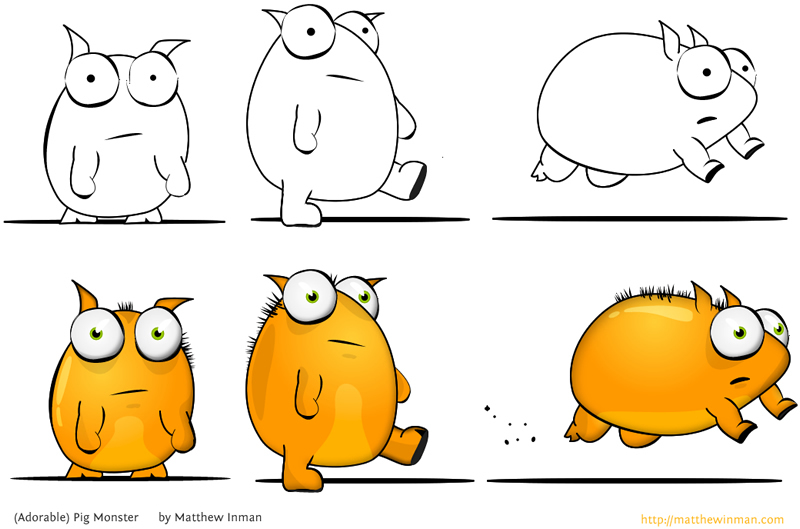 hey, I like this cute little monster ^^ could I use it for a private homepage? that would be so great. that's very good picture, i like it. It's the sweetest thing ever! I have it on my background. Can we call it something? like Alfred? or Larry? or .. Eliza? 0at.org is very informative. The article is very professionally written. I enjoy reading 0at.org every day. 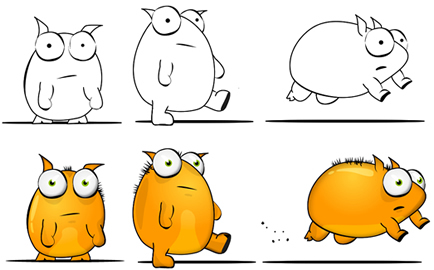 Im soo drawing this little monster!! cuuute. Wish I could buy an actual physical greeting card with this cute moster. It's very sweet looking. Hey i need help I want this picture as my icon for my IM account but, it says the picture is too big. Can you help me and how to make it smaller. can i borrow this draw for my video productions do you mind? ?